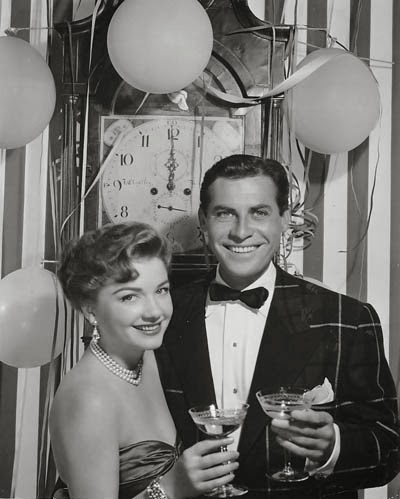 Midnight Toast - As the clock strikes twelve to usher in the year 1951, one of Hollywood's happiest couples, Anne Baxter and John Hodiak, are prepared for a New Year's toast. Both are enjoying top honors in Hollywood, Miss Baxter's newest success being her brilliant performance in the 20th Century-Fox production, "All About Eve." What's Better Than One Montgomery? SEVEN!! Well, are we all thoroughly satiated and exhausted ... ready to face more goodies and celebration on New Years Eve? Hope Santa was good to you, no coal in the stocking at least! Santa's gift to me came in the form of the TCM Now Playing Guide. 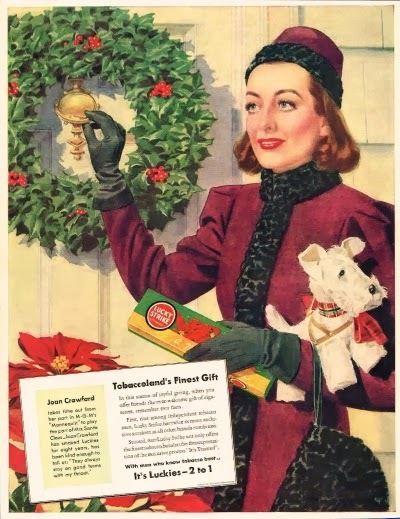 Joan Crawford is the featured star for January and they are showing all five of the movies she made with Bob!! And if that prospect was not good enough, they have included two more Bob movies, Lady in the Lake and Private Lives. It is just a great way to start off the year, 2014 is already better than 2013 has been, for me anyway. Thought I would list them for you, as an aid to remembering to spend several delightful hours with Bob and Joan, Bob and Audrey and Bob and Norma. All times given are PST. Time is flying by so fast this season. Five days away and I haven't even finished my decorating. Well, actually, that is not unusual for me, but every year I PLAN to start all the seasonal preparations early enough to be able to sit back and enjoy the days going into Christmas. Now I'm at the point of trying to decide what I can and cannot accomplish on time. Christmas cards ... I'm always late so why rush to get them out before Christmas and shock my family and friends?! My Mom's special recipe oatmeal cookies I was going to bake and send to my brother in Florida ... way too late to do that, might as well aim for Groundhog's Day. Sigh ... I just need to let the stress go and enjoy this wonderful time of year. There's plenty of time to plan the Christmas dinner, decide what favorite Christmas movies we want to watch on Christmas Eve and purchase the champagne to imbibe with the nibbles that evening. That sounds good, I can handle that. The rest...well, maybe next year. Hoping you survive the season and find some peace at this hectic time. Who knows, if you have been good all year, you may have a surprise visitor come knocking at your door bearing gifts. 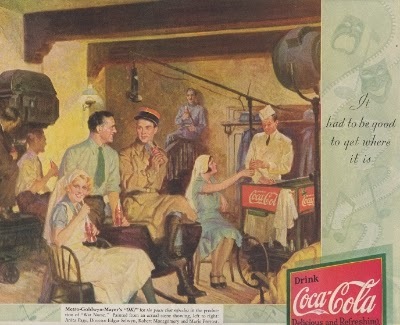 This ad has the director and cast of War Nurse on the set with everyone enjoying a Coca Cola. It is an interesting ad, but it is difficult to imagine a 1930 studio movie crew relaxing on the set taking a break. 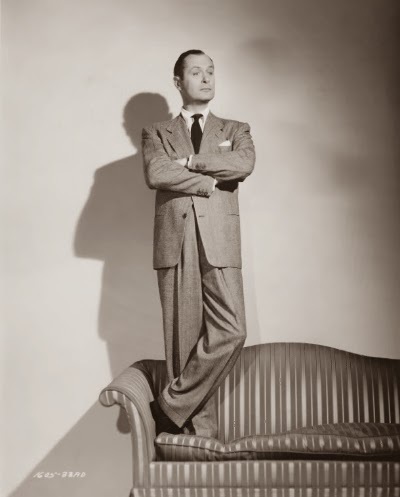 Hey, it is difficult imagining the 26-year-old Robert Montgomery actually drinking a Coke ... well, maybe as a mixer. 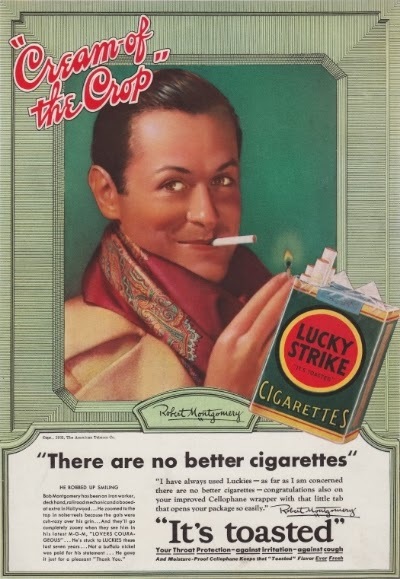 Now, Bob smoking a Lucky Strike, that's a given. Unfortunately. Death from cancer, not a pleasant way to go. In a movie he would have died in his sleep at his estate of extreme old age, but reality won out. It was the summer of 1963 when I was first mesmerized by both Lawrence of Arabia and the young gorgeous man who portrayed him. I was spending the summer with my aunt and uncle in San Diego. Lawrence was being shown in a new theater with a huge wide screen and the latest sound system. This was a time when first run theaters had reserved seating and the ushers were there to help you find it. It was truly a great experience, sitting in the darkness, listening to that fantastic score and watching all those fantastic scenes flash by. And to top it all off, seeing the introduction of one of the movies finest actors, swaggering across the screen in military uniforms and flowing Arabic robes, being a character larger than life ... BEING Lawrence. And those incredible blue eyes staring off the screen right into your soul. 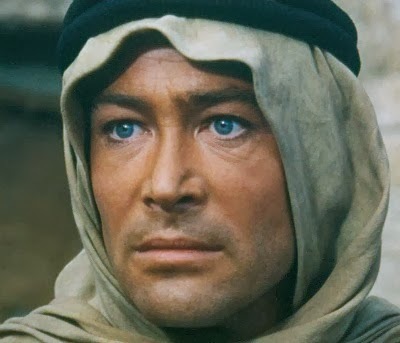 Ahhh, thank you, Mr. O'Toole, for your many wonderful performances, many of which deserved the Oscar you were continually denied. Thank you for sharing your greatness on the screen and in our hearts. "The Bad Girls Were So Much Fun To Play"
Two of several great portraits of 'Silky Kilmount' taken by Lazlo Willinger for the movie The Earl of Chicago. Willinger was born in Budapest, Hungary, one of many artists who had found success in Germany, but fled to the United States when Hitler came to power. 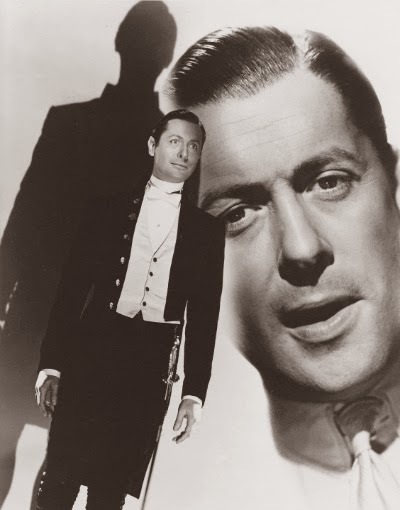 He joined MGM in 1937, succeeding photographer Ted Allan. Never even having heard the word 'glamour' before being introduced to Hollywood studio photography in the 1930s, Willinger adapted his work accordingly while retaining a definite European influence. A good example of this is his work for Earl. "I've bitten into many an apple, but that's the first time I had one snap back at me!" 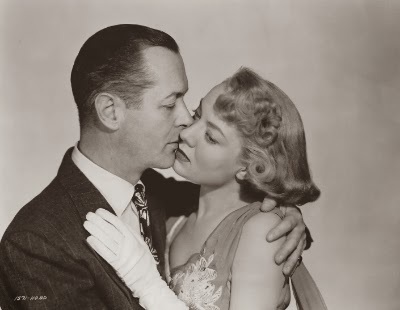 This publicity still for Once More, My Darling WAS my candidate for oddest Bob photo. Never say never ... I found one odder. Ah, we have survived Thanksgiving and Black Friday. That is no mean feat these days. Of course, this has all been a warm-up to the Christmas season. Thankfully, the season brings with it a long list of great movies to help us get into the spirit. One of the better ones is The Bishop's Wife starring Cary Grant, Loretta Young and David Niven. 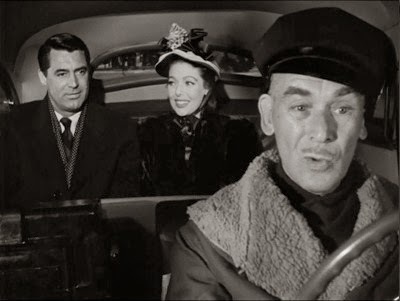 The supporting cast is just as good, including Monty Woolley as The Professor, Gladys Cooper as Mrs. Hamilton, Elsa Lancaster as Matilda and James Gleason as Sylvester the taxi driver. Scene stealers all. 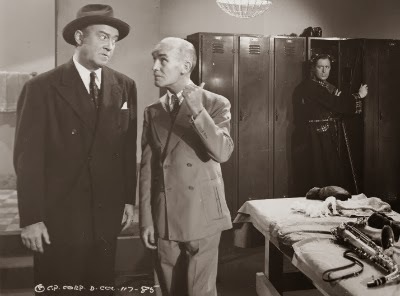 Below, Cary eyes Gleason with a look of resignation, no point in competing for a scene with a pro like Jimmy. 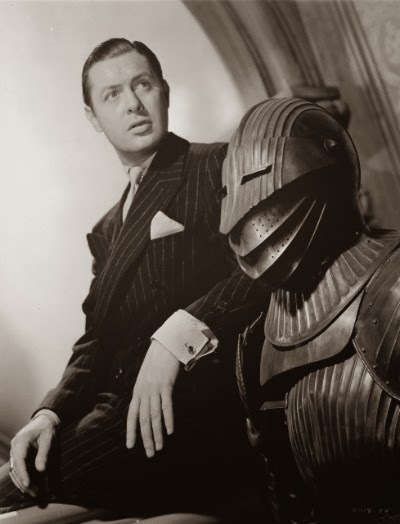 Gleason was 47 years old when he arrived in Hollywood along with the talkies. After years in stock companies and touring shows, he had already developed the persona which would help him become a highly successful and very busy character actor. Always older, always balding and always the tough, warmhearted character, Jimmy played variations of the role for 29 years. 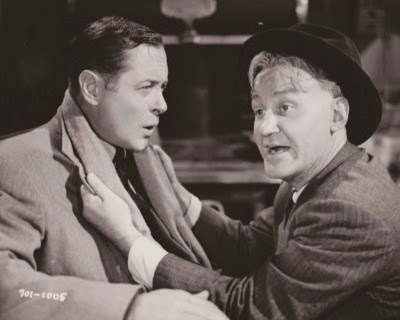 His first movie with our Bob was Blondie of the Follies. 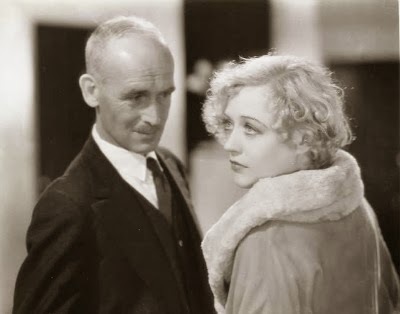 He plays 'Pa' McCune, to Marion Davies' Blondie. Nine years later he is Max Corkle in Here Comes Mr. Jordan, the long suffering trainer of Bob's Joe Pendleton. Max has to put up with Joe's saxophone playing, his reincarnations and the mysterious, invisible Mr. Jordan. He is just great in the role and is appropriately rewarded with a nomination as best supporting actor. Jimmy, who was born into a theater family, joined the army at the age of 16 to fight in the Spanish American war and, before serving again in WWI, he marries Lucile. Lucile was his partner in the theater as well, and became a successful character actress in the movies. 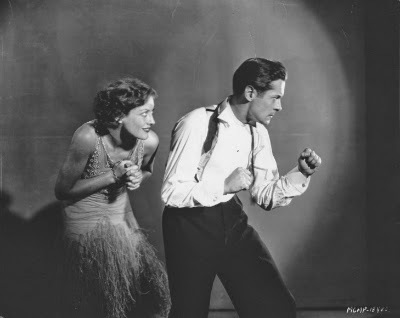 She and Jimmy were two of the 21 founding members of the actor's guild, Lucile becoming the guild's first treasurer. 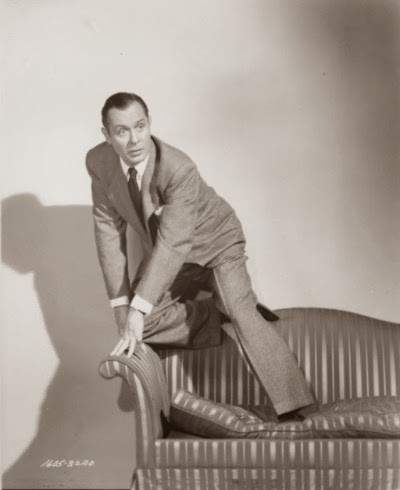 Jimmy continued to act until a year before his death in 1959. 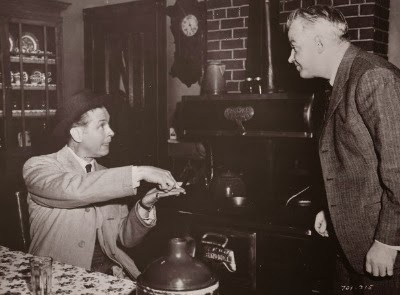 His last role was as 'Cuke' Gillen in John Ford's The Last Hurrah starring Spencer Tracy. 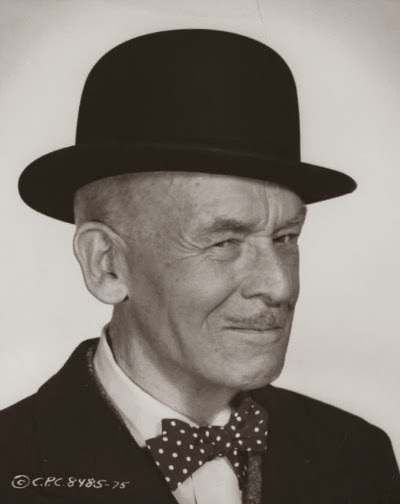 Quite fittingly, he was one of a superb supporting cast including Pat O'Brien, Basil Rathbone, Donald Crisp, Edward Brophy, John Carradine, Wallace Ford and Frank McHugh. And does he ever hold his own in his last scene of the movie and his career. Good job, Mr. Gleason.